One of the key concepts of computer science is to use “Algorithms” to resolve problems, algorithms are the basics when approaching a problem that should be resolved with Min defects. Every step must be easy to understand. All steps must be set with logical order. Every step must be one that user can actually perform. 2. Open your E-mail platform. - Mail body: You’re the best! Clear - every step in our algorithms must return the same result, if the user needs to ‘Send’ mail he always need to press the ‘Send’ button. But if we perform step 4 without providing the mail details user can add whatever he wants, therefore the result could be different. 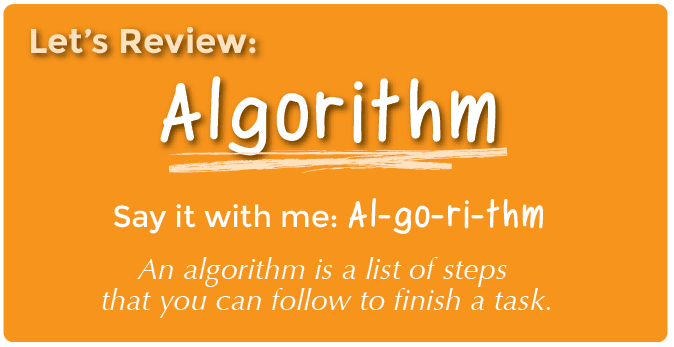 Ordered - every algorithm uses the ‘Start’ operation (step 1) and closed with the last order to perform (step 5). If the user executing the algorithm with different order the outcome will never be as expected. Executable - every step in our algorithm must be executable, if one of the orders cannot achieve that we can say clearly that we failed.